The creation of a happy and successful life comes down to three powerful principles. 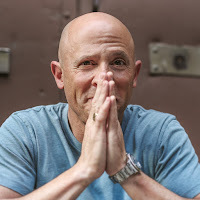 In this riveting and musical keynote, #1 Nashville hit songwriter, Cliff Goldmacher, describes in vivid detail how to achieve your life goals by following your passion, doing the practice and persevering. These highly interactive sessions are designed to inspire, focus and motivate attendees around a chosen issue or concept. Using the craft of songwriting as a problem-solving device, participants will will be empowered to think in new and unique ways about entrenched problems or future goals. This guided and customized songwriting practice helps teams to clarify their goals by using language rich in metaphor and inspiration unlocking creativity in lasting and powerful ways. (Sessions length is from sixty minutes to two hours with a minimum of 4 and a maximum of 60 people). In the music business for over twenty-five years, Cliff Goldmacher is a songwriter, music producer, author and speaker. Cliff’s songwriting collaborators include multi-platinum selling and Grammy winning artists Ke$ha, Keb’ Mo’, Grateful Dead drummer, Mickey Hart, Chris Barron (Spin Doctors) and Lisa Loeb. His songs have been recorded by major label artists in genres ranging from country, pop and jazz to classical crossover. His music has also been used on NPR’s “This American Life” and in national advertising campaigns. Cliff’s song, "Till You Come To Me,” went to #1 on the jazz charts. Cliff serves on the GRAMMY board of governors for the San Francisco chapter and he has given multiple TEDx presentations on his craft. These highly interactive sessions are designed to inspire, focus and motivate attendees around a chosen issue or concept. Using the craft of songwriting as a problem-solving device, participants will will be empowered to think in new and unique ways about entrenched problems or future goals. This guided and customized songwriting practice helps teams to clarify their goals by using language rich in metaphor and inspiration unlocking creativity in lasting and powerful ways. (Sessions length is from sixty minutes to two hours with a minimum of 4 and a maximum of 60 people).